Officially, GSA Schedule 874 is also known as MOBIS or GSA Mission Oriented Business Integrated Services Schedule 874 Contract. In basic terms, GSA Schedule 874 is a Professional Services Schedule (PSS) with crucial importance for companies that offer management consulting services and training to the federal government. The schedule may also be referred to as GSA MOBIS. In general, the GSA Schedule 874 works under (ID/IQ), or Indefinite Delivery/ Indefinite quantity model. The nature of the contract is classified under the multiple award schedule (MAS). The General Services Administration negotiates the terms of the GSA Schedule 874 contract. GSA MOBIS differs from other contracts because its terms, pricing and conditions are pre-negotiated. The federal government relies on such terms and conditions to procure specific services from the government. The GSA Schedule 874 is ideal for companies that offer a specific range of services that include business training, which is needed for the completion of a specific task, executive coaching, debriefing stakeholders, studying, examining scenarios and making reports that are pertinent to identified business programs. 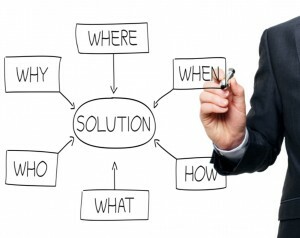 The schedule is also important in the resolution of business disputes and disagreements, survey planning and analyzing services. The federal government may also find it necessary to enlist the schedule for testing administration for approved training courses and recording of discussions. In legal cases, this schedule is often used for conducting expert witness services. The services may also be relied upon to offer training courses, which are usually delivered through a computer-based system or an instructor. Basically, the schedule has a wide application across multiple areas of government business. Getting the GSA MOBIS Schedule Contract is the foremost step for a company that aspires to offer services to the federal government. The process of acquiring the contract entails a series of steps, which are meant to ascertain the companies eligibility and capacity to render services. The preparation of the proposal and strategy development are the main steps involved in the acquisition of the contract. It is advisable for businesses to hire the services of experts to help through the necessary steps of getting the contract. After obtaining the contract, a company is supposed to demonstrate the capacity to offer management and consulting services for improving the performance of the federal agency. Federal agencies rely on the contracted companies for program support and other specialized areas such as workforce training. Getting on the GSA Schedule 874 has profound advantages for both small and big businesses. Usually, the amount of money that a business makes is commensurate to the volume of the business conducted. A company that offers integrated business support services for a long duration is likely to benefit more than a second company that offers basic advisory services for a short period. Companies that earn more from this schedules often engage in a wide range of businesses in order enhance their leverage. Other tasks that earn companies large amounts of money include contingency planning, asset management and visibility, operations and maintenance and logistics training services. The predetermination of prices has the advantage of stability and low levels of risk, which many companies prefer because of market volatility. The assurance of business stability is one of the convincing reasons for companies to work under the schedule. Schedule contractors are expected to maintain the best practices while designing, managing and operating their respective systems. Logistics performance is maintained at levels that adhere to international standards so that the final quality of work is not compromised. The schedule also entails appropriate utilization of resources in order to optimize on the metrics of the task. The outcome of the tasks is largely dependent on the advice of experts who deploy their skills and resources for the completion of the task. Sensitive and risky areas of the services require special attention and first-grade equipment as a way of safeguarding the safety of the equipment and the systems. The federal agencies depend on the contracted companies for other agencies such as strategic account management and strategic and tactical management. Ultimately, GSA Schedule 874 guarantees high-quality terms of business with mutual benefits for the clients and the companies. If you need help getting on GSA Schedule 874, contact GSA Scheduler.